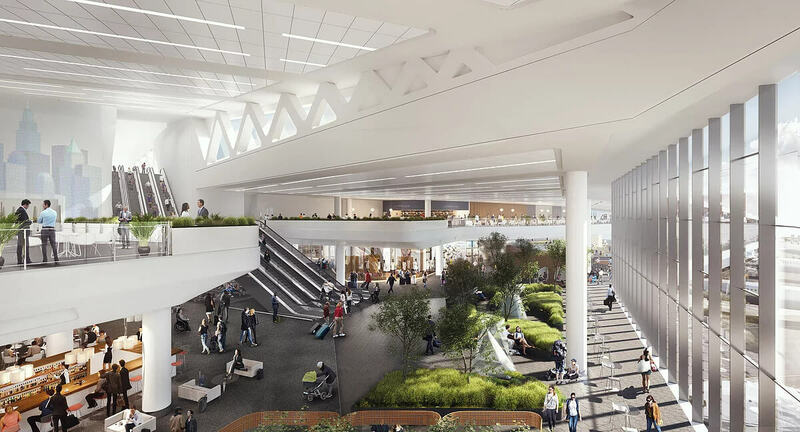 The comprehensive redesign of LaGuardia Airport involved transforming it into a unified airport with new terminals, better transportation access, a future Air Train, additional taxi-lanes, and best-in-class passenger amenities. Construction of the new airport included new B, C, and D terminals, an improved roadway system, new parking infrastructure, and other associated projects. 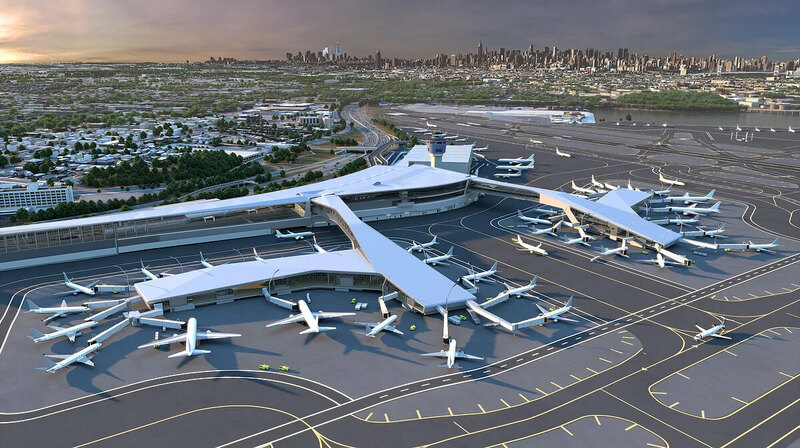 LaGuardia Gateway Partners – a consortium of airport industry experts who have worked on more than 350 aviation and transportation projects globally – was selected by New York Governor Andrew Cuomo and the Port Authority of New York and New Jersey for the development of Central Terminal B. The consortium was also contracted to manage and maintain the terminal under a 35-year lease agreement to better meet the needs of airlines, passengers, and the community. A joint venture of Skanska and Walsh was selected as general contractor. Through existing relationships with Skanska, the Building Solutions team at CRH was able to get involved early in the design process of the project. Along with several CRH product groups, CRH delivered design assistance, logistical support, and technical expertise to the Skanska Walsh JV and architecture firm HOK. 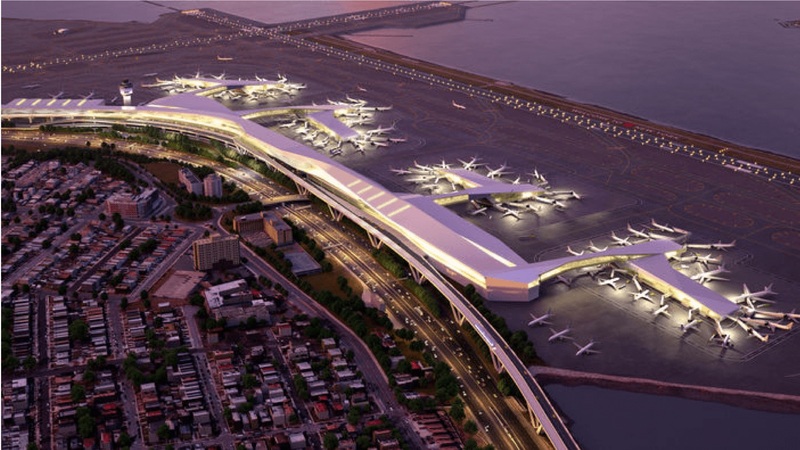 Large-scale infrastructure projects such as the LaGuardia Airport Redesign are ideal for early supplier involvement due to their complexity, scale, and the number of people impacted during design and construction. The ESI mechanism can create better executed projects where architects know what’s feasible come design time, construction speed is increased, and more consistent products are delivered. Logistic support included coordinating all pursuit and pre-award product procurement meetings with CRH, Skanska, and HOK; introducing the project team to minority subcontractors; and providing the subcontractor partner option for engineering support and installation. By helping with logistics, the general contractor and architecture firm were able to better meet deadlines set by the Port Authority and minimize risk that may come with using newer subcontractors. We provide solutions for all stages of the construction process. Learn more about how we help owners, developers, architects, engineers, general contractors, and subcontractors. Or, talk to an expert today. Images provided by LaGuardia Gateway Partners.